Another great opportunity is waiting for our Filipino workers. According to Philippine Overseas Employment Administration (POEA), New Zealand has announced that it needs 500 servicemen or skilled workers to work in their country. Due to the major earthquake that affects the whole nation in the year 2011, it creates big chaos to them. Now they are needing of manpower to rehabilitate their country, especially in the construction industry. 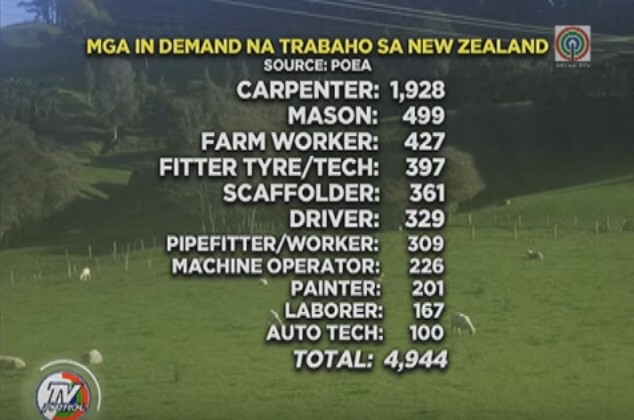 In a report on ABS-CBN News, the country of New Zealand is currently looking for 1928 Carpenter, 499 masons, 427 farm workers, 397 filter tyre/tech, 361 scaffolders, 329 drivers, 309 pipe fitters, 226 machine operators, 201 painters, 167 laborers and 100 auto technicians. 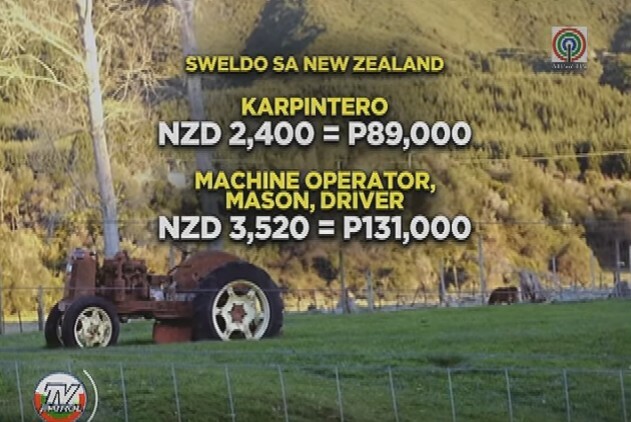 Once they hired, they could earn as much as 3520 New Zealand dollars and if we are going to convert it to Philippine Rate, it would be a rough equivalent to P131,000 (P37-1NZ Dollar) for laborers, machine operators, masons, and drivers. The carpenters could also earn slightly lower than 2,400 New Zealand dollars, or P89,000. However, due to many nos. of applicants, New Zealand will be strict on their screening. Not everyone is qualified to apply because one of their qualification is to only accept applicants who have also work experience abroad. He/she should work for more than 3 years in other country and familiar with the modern equipment they are using. According to the Philippine Association of Service Exporters Incorporated (PASEI), they surely verify the applicant’s background about his work experience. They call up their previous employees in order to know the reliability of the applicant. The processing of New Zealand jobs could take around 3 months before the employer give his approval to the applicant so, despite the longer period of processing, there is no placement fee required for the application. One thing more, hire skilled workers could make a petition to bring their family and be a citizen of New Zealand after a year of working in the country.